Romania has a rich and colorful cultural history. 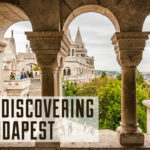 Having been invaded by Turks, been part of the Roman empire, and having its borders switched so many times – you are going to see various influences in this romantic country. If you start from the East of Romania things are fast paced, exciting, and very matter of fact. However, the more West you go (towards Transylvania) the life slows down. You will notice more mountains, hills, countryside and an overall relaxed feeling. Located in the town of Hunedoara, this ancient castle from the 14th century is full of myths and lore – from a lion’s den, Turkish curse, and even to imprisonment of Dracula himself. Ioan of Hunedoara, the Governor of the Hungarian Kingdom, constructed this limestone fortress, the first of the bigger structures being built in the area. When you walk across the bridge to enter the halls you can turn one of two ways. Straight into the dungeon where you hear screams of prisoners and see the torture devices of historic Europe, or you can walk straight into the courtyard and skip the torture all together. However, you will be able to say you walked in Vald Tepes’ (Dracula’s) footsteps for a little while. But as you walk throughout the beautiful courtyard you will enter a chapel, a great hall with the traditional furniture, knight’s armor, and beautiful interior architecture. You can also walk into the princess’ bedroom that has the perfect view of the bridge to enter. Perhaps to see suitors before they come in? The best part of the castle is everything is accessible. Usually in museums things are behind glass, but not here. You can literally touch history. Guess what gave the Bear cave its name..? 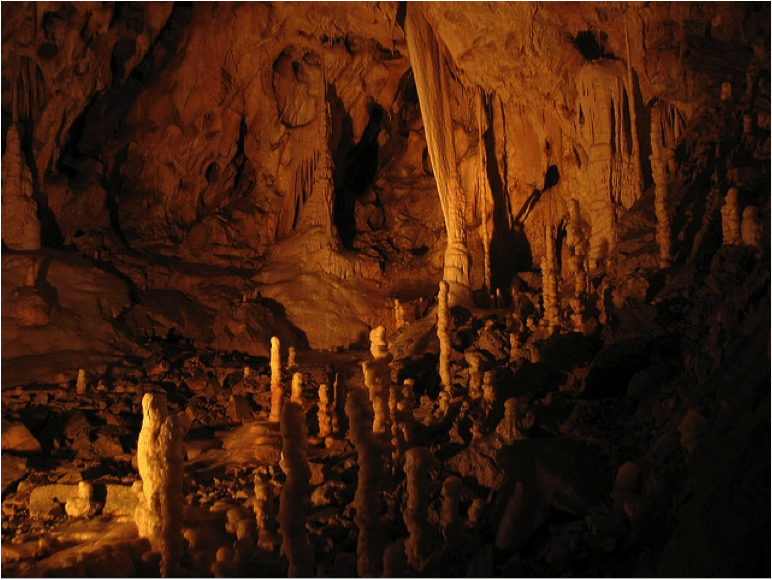 Located in Pietroasa, Romania this is a spelunker’s dream find. For about 4 € you can walk into one of the oldest caves in Europe. Discovered in 1983 with over 140 cave bear skeletons it has been a tourist and local attraction for years. 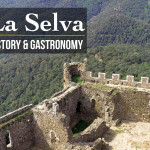 If you are visiting in the summer this is a perfect tour for you, as Transylvania gets very hot. In this cave it can get to 65-70 F so you actually may want to bring a layer with you. You will see stalactites and stalagmites, and the most famous stalactite is “the rocket.” Literally in the shape of a huge rocket. You will even be able to see skeletons of an old mama bear and her cub. These huge mammals thrived in the cave. Whether you take the train, bus, or hitch a ride, seeing the Carpathian mountains is definitely what makes Transylvania. You can go through thick forests where you might even hear a bear or two! Hidden in the mountains you will come to small monasteries with Orthodox monks in their traditional black clothing. Most monasteries are open to the public, especially the grounds. There is a certain stillness when you walk into those little monasteries in the mountains. You will see small prayer houses that are hundreds of years old next to a farmer’s field with bales of hay stacked on each other. Next to that a valley with sunflowers. No matter where you stand, it is beautiful. Transylvania has a lot to offer, and you don’t even need to be a Dracula fan. There are also many other legends than just Dracula. See my newer posts on Romania here. Also here‘s an article on the main cities in Transylvania and here‘s what it’s like to ride on the famous Transfagarasan Road. Have you visited Transylvania? 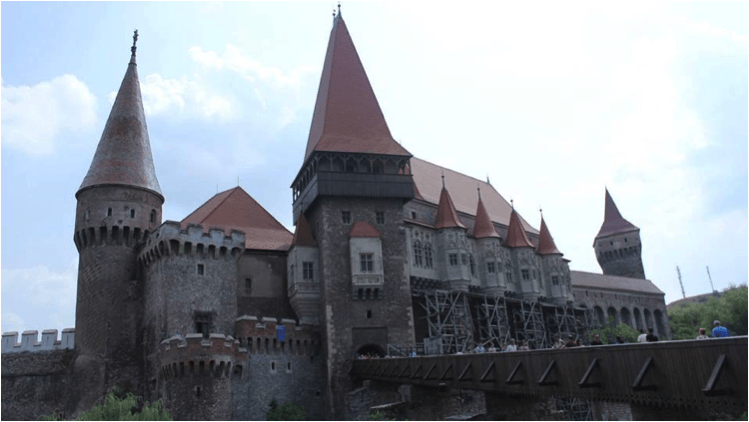 Did the Corvin castle freak you out? 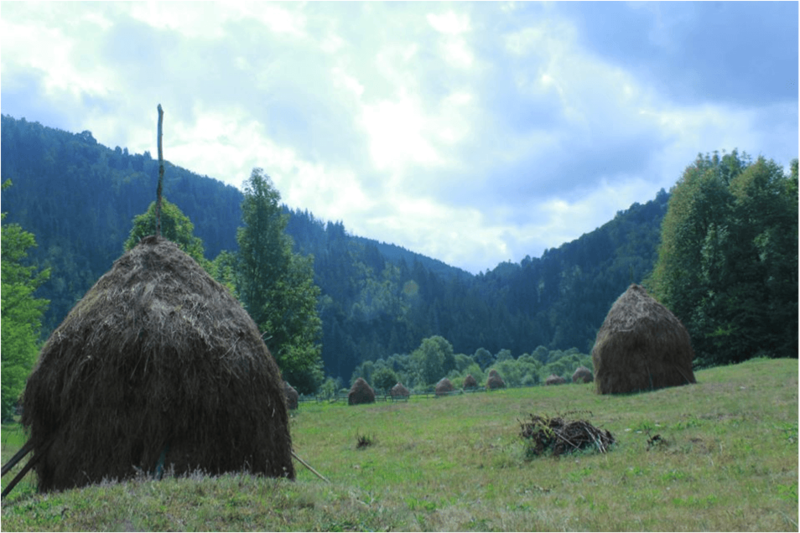 Do you have anything to add for travellers coming to Transylvania? I’m so glad to see that you liked these beautiful places in my country of origin. Romania has so much to offer and is so underrated. It is for bloggers like you that some of its beauty gets revealed. Thank you for sharing this. The only thing I had heard of in Transylvania was Bran Castle, so it’s nice to see that there some other really interesting things to see there! I would like to see all of them — the bear cave, Corvin’s castle, and the monasteries in the hills! I’d really love to go there!! it’s fantastic!!! Oh wow, I really want to visit Transylvania it looks like such an interesting place. Apart from the obvious, Transylvania has a lot to offer visitors … thanks for highlighting them to me! I’ve always wanted to visit Rumania. That first photo is dreamy. Now I want to explore it even more. Isabelle Rizo is a millennial that supports the creation of beautiful lives full of entrepreneurship, freedom, and travel. With all the authenticity that she can muster she has worked as an English teacher in China, an Ed-Tech Start Up Content Creator in New York, and began studying herbalism and natural health after a monk in the Transylvanian mountains did the same. She wants to help as many women live adventurous lives as she can. You can read more of her writing at TheBellaVie.com.